As you may recall, my first review of the CSN Stores shopping experience was rather neutral. I had a good experience, but probably ordered the product too soon and didn't have a chance to try it out until I was past the company's 30-day return policy. So, they offered me another try. I thought that was very generous of them! In exchange for my unbiased review, they offered to send me another product, up to a certain value. And I took them up on their offer. I wanted to see how the experience compared, now being more mindful of the return policy. 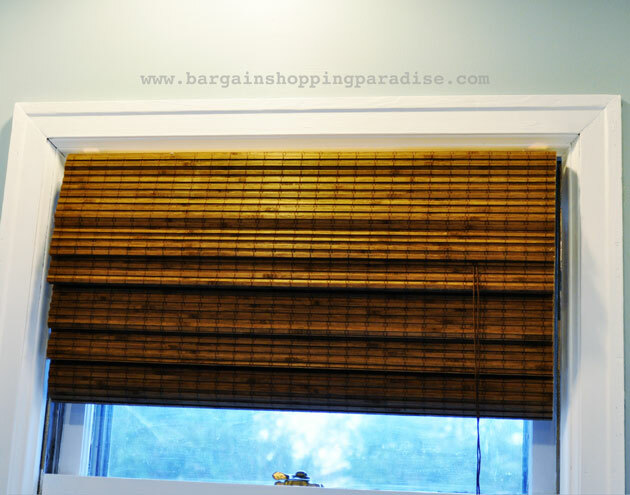 Since we're still putting the finishing touches on our kitchen remodel, I wanted to order something I would need for that—like a window treatment. 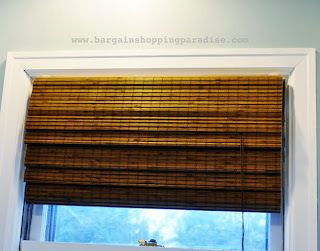 I ended up ordering the Radiance Cape Cod Roman Shade in Maple (maple color, not maple wood). We've used a lot of cool colors and stainless accents in our kitchen, so I wanted to add an organic touch through wooden Roman shades, and these fit the bill. They are made of "hand selected" bamboo, and looked beautiful online. I ordered one shade to fit the window behind my sink in my kitchen. 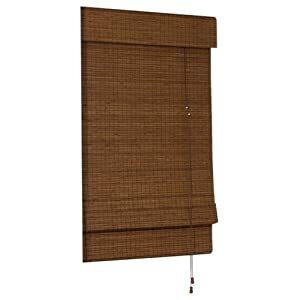 The size I ordered is priced at $35.00, plus $7.95 for shipping—the same Radiance Cape Cod Bamboo Roman Shade in Maple sells for $42.51 with free shipping on Amazon. So, the price is pretty competitive. On a side note, my intention was to purchase another of the same shade for my other kitchen window, but through another seller. More on that, later. 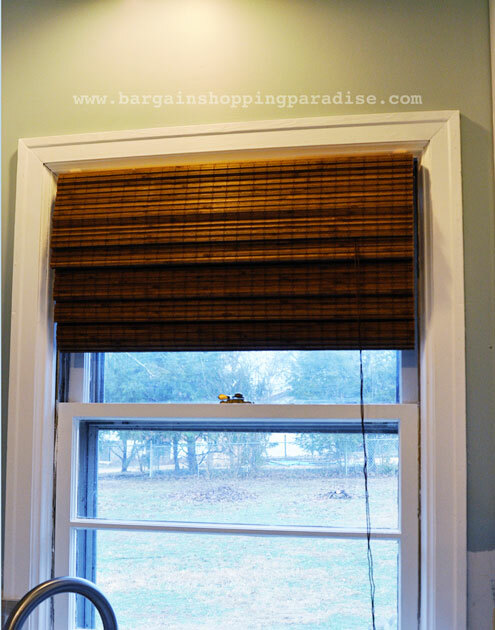 Both window treatments together cost me only $34.22, and at regular price would have cost me almost $95—a savings of $60!! Oh, I can't wait to share more with you in another post. Back to my review . . . the CSN shopping experience was fairly easy! In my first review, I mentioned that navigating the CSN sites can be a little confusing and overwhelming, and I would say that again. I'm not sure that they have made much improvement on that aspect. They do have such a wide array of products to choose from—which is good—but, I think they could make the sorting process easier and more seamless. However, I was able to find what I was looking for, and the purchase process was easy and pain-free. Their order confirmation and shipping confirmation e-mails were great! It kept me updated on the progress of my order, and the shipment, once it left their warehouses. I have no complaints! And shipping was timely, too. Once I received the shade, I was quick to open it up and inspect it. It was EXACTLY what I wanted. I was thrilled! The packaging was great, and nothing had been damaged in-transit. Whew! My husband just installed it for me this past weekend, and I couldn't be happier! It's beautiful, the shopping experience was great, the quality of the product is wonderful, and I'm so pleased. Thank you to CSN Stores for the opportunity to review your products! And while their Web site is a bit tricky to navigate, I would recommend them as a great place to find . . . well, just about anything! I love this look for the kitchen. I'm filing it my "house buying" folder!! 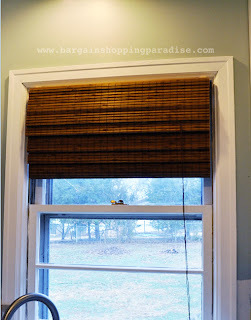 After house hunting on Sunday I realized blinds would be the first things we'd have to buy.